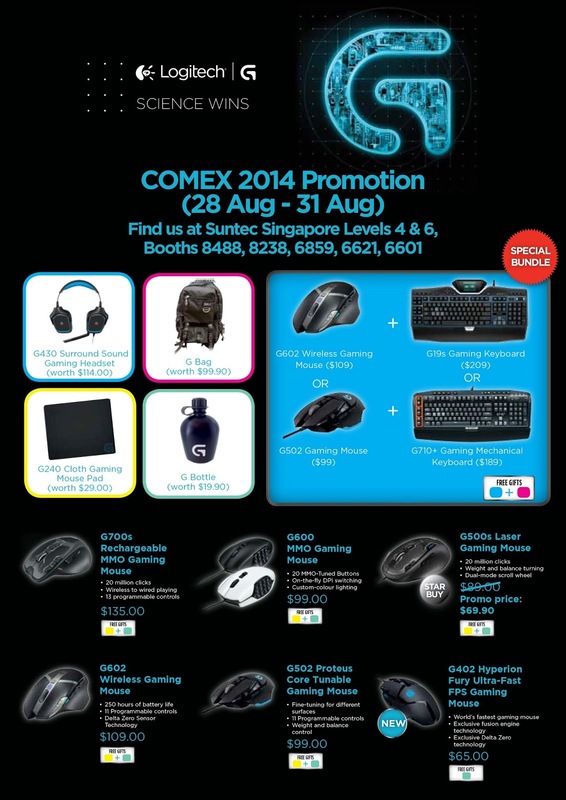 With the Comex 2014 happening this weekend from 28 Aug to 31 Aug 2014 at Suntec, Logitech Singapore is sharing some great deals for those who are looking for mouse, keyboards, UE products, folios. 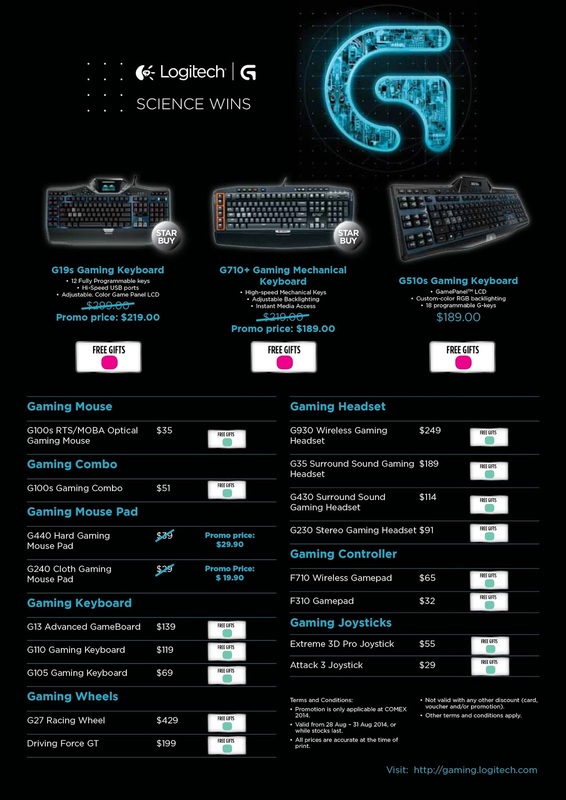 If you are getting keyboard and mouse, there are special bundle prices for keyboard and mouse set from the Logitech G series. The latest G502 Proteus Core Tunable Gaming Mouse will be available at S$99.00 for the show. Looking for portable speakers, headsets or earphones? 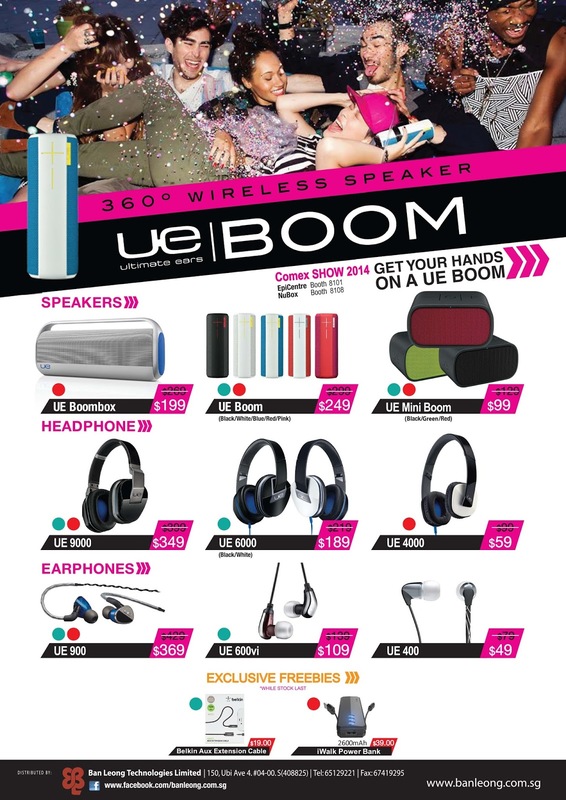 UE is having some fantastic offers for their speakers such as the UE Mini BOOM at just $99.00 (U.P.$129). Check out the flyer below. 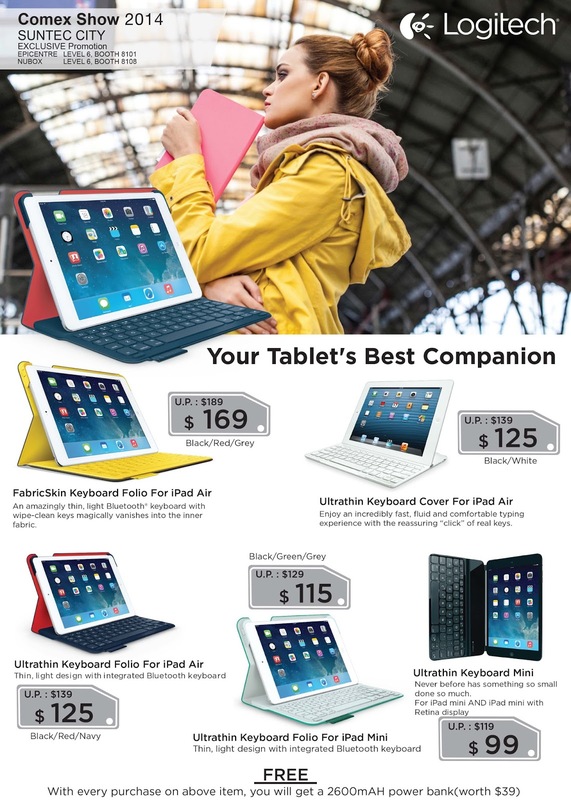 Protecting your beloved tablet devices with the Logitech Folios. Great offers are available for them with exclusive freebies. The Logitech booths will be located at Level 4.